This program uses a multidisciplinary approach to provide flexibility in designing both coursework and research activities, thus addressing a wide array of student desires and interests. Our program is on the cutting edge of transportation technology, with multi-modal research and instruction covering such wide-ranging issues as transportation safety, intelligent transportation systems, human factors, freight movement, travel demand management, and traveler information centers. 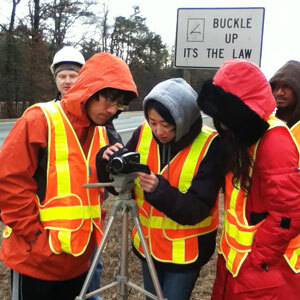 The four full-time faculty members assure that graduate students have a broad understanding of the technical and social elements of transportation and are well-prepared to pursue academic, research, government, or consulting careers.